For the Spring/Summer, TNS Cosmetics presents the new Flash, the popular top coat of the brand, in the new versions: Fluo and Mat. Flash Fluo Top Coat gives a nice fluorescent effect under the UV light, for a shining finish even in the dark. 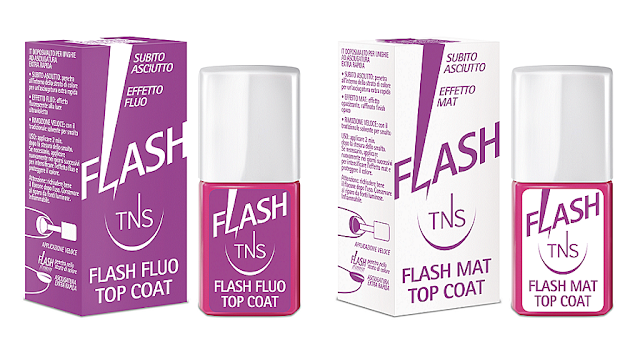 Flash Mat Top Coat gives a sophisticated and original opaque effect, for a velvet finish. Both are truly amazing and I already love them: fast dry, make the nail polish more shining or matte, strong, protected and long-lasting. 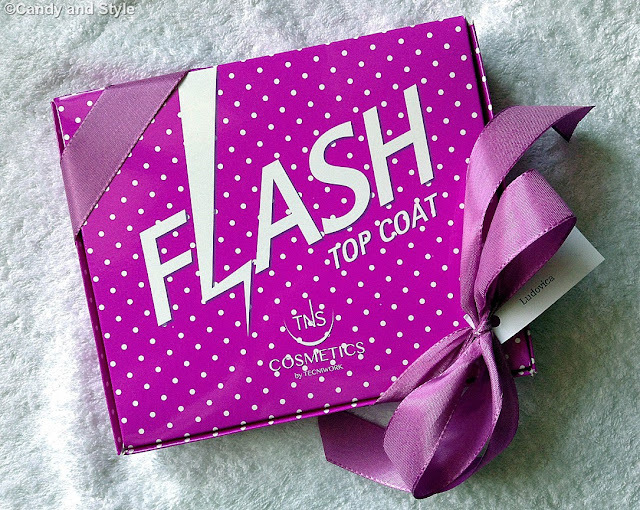 As all the TNS Cosmetics products, they are also very safe, being the formula 3-Free: i.e. Formaldehyde, Toluene and Phthalate free. My favorite is the matte one for the elegant and unexpected texture, especially in combo with dark red nail polishes. What do you think? Which finish do you prefer in the nails during spring? Have you ever tried a matte top coat? ITALIAN READERS: I prodotti TNS Cosmestics si trovano in vendita nei saloni e centri estetici distributori del marchio, in tutta Italia. Per trovare quello vicino consultate la pagina facebook. Sarei davvero curiosa di provarli...un bacio Ludo!! Would have loved to see what they look like when applied. I have never tried a matte finish but would be curious to do so. Anyway, I hope that you will share a photo of what these varnishes look like on your nails. 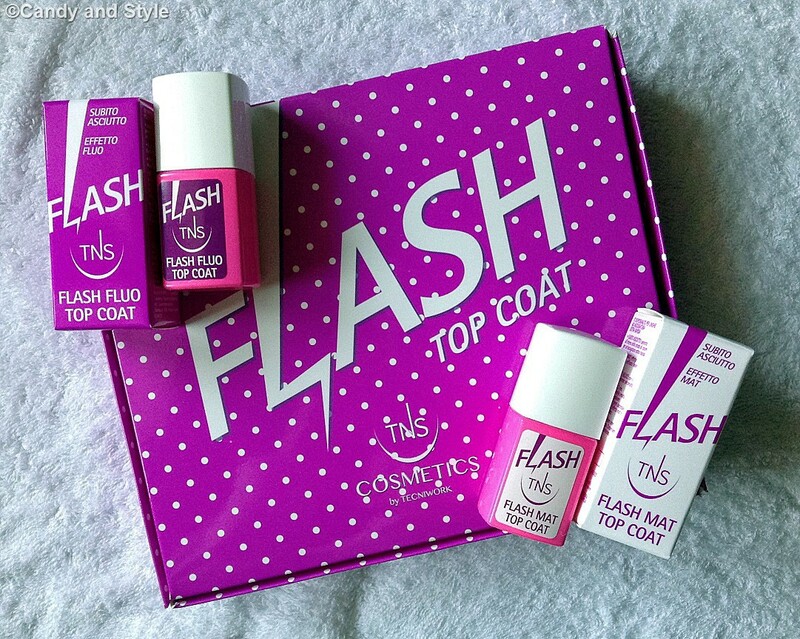 I have never tried a top coat that gives a fluorescent finish under UV light or glow in the dark. That would definitely be interesting to try! sarei curiosa di provare quello opaco! Can't wait to see what they look like, I tend to prefer glossy finish for nails, but depends on the colour. Li voglio provare anche io! both top coats sounds fantastic. My favorite is the shiny one. One time tried a matte top coat. I think I need a little bit time to used to it. May i will give it one more chance. Wish a a very nice rest of the week. I bet they give off a really nice finish Lily! They sound really cool and don't contain any of the nasties. they look lovely! I think I could give them a try! This is so nice Lilli. Very nice Brand and packaging. I have a product that fulfills the same function but have not used it much, have made me remember that I look! Kisses!